Shortly before 7:53 p.m. an inmate who was being held in the intake area, due to drugs still being in his system from his arrest, reported to a corrections officer that he had defecated in his pants. This is not an unusual occurrence when people are coming down from a drug high. The corrections officer got the inmate out of the cell to allow him to shower and change over to clean clothes. Once out of the cell, the inmate attacked the corrections officer. A supervisor came to assist and the inmate managed to gain control of a corrections officer’s taser. Once the inmate had control, the inmate attempted to get doors released from the intake area. He was unsuccessful and patrol officers from Celina Police Department, the Ohio State Highway Patrol, and Sheriff’s Deputies responded. The incident was quickly back under control, lasting approximately eight minutes. 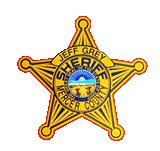 The two corrections officers received minor injuries and were treated by jail medical staff, then they were transported by Sheriff’s Office staff to Mercer Health where they were treated and released. The inmate was not injured, but was placed in a restraint chair. Sheriff Grey further explained that the facility worked as it was designed. The incident was contained to the intake area and the inmate was unable to get out of that area. “No other information will be released at this time as we do not talk about security procedures of the facility,” stated Sheriff Grey. Prosecutor Matt Fox was notified and is awaiting the conclusion of the investigation to make a determination on appropriate charges. Commissioner Chairman Greg Homan was contacted as a courtesy to inform him of the incident.